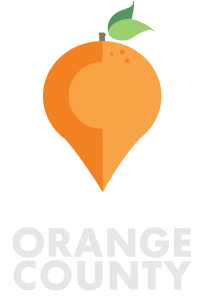 It might seem weird to include a garden store and nursery in a “Things To Do” guide (is it? 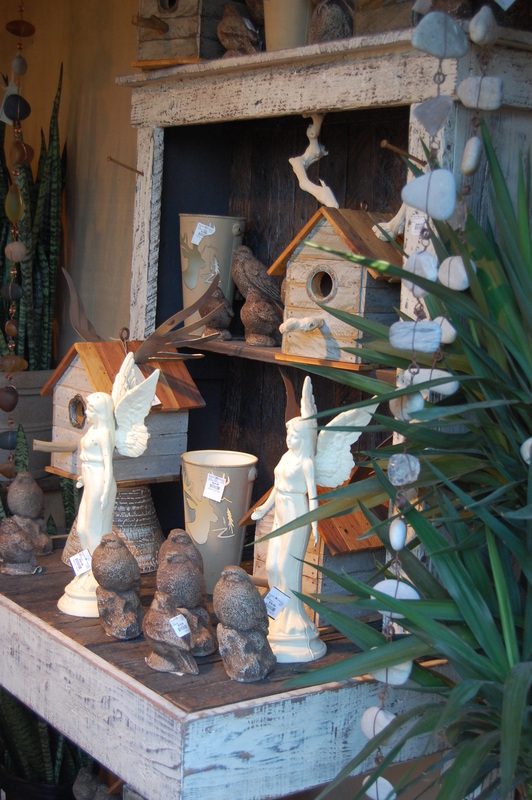 ), but Roger’s Gardens isn’t your average garden store and nursery. For our family, it was always an “outing,” where we’d go on certain Saturdays in the year to absorb the beauty of each season and get our fill of Easter hydrangeas, Halloween poppies, Christmas poinsettias and gorgeous decorations for each time of year. It always felt good to walk along Roger’s Gardens’ garden paths, soak up some sunshine, get some fresh air, and fantasize about the garden or dining room we wanted to create at home. The scenic nursery in elegant Corona del Mar has been around for more than a quarter of a century — always a one-and-only location. In the early 1970s, Roger’s Gardens came to be known as a pioneer in the art of “hanging baskets” – moss-filled arrangements, sometimes up to three feet in length, growing on all sides and spilling over with riotous color from sweet alyssum, lobelia, begonias, marigolds, ivy and more. The baskets were the brainchild of Dave Bush (with a better-than-average name for the career), who began working for Roger’s Gardens in 1970 and brought with him from the Pacific Northwest his knowledge of the sphagnum moss that grew on trees there. The moss is easily harvested, and Roger’s Gardens soon made it an important element of its successful hanging baskets, as Bush and the gardening team continued to take the baskets to new heights of innovation and creativity. Today, these baskets are still traditionally a glorious site all over the garden center. 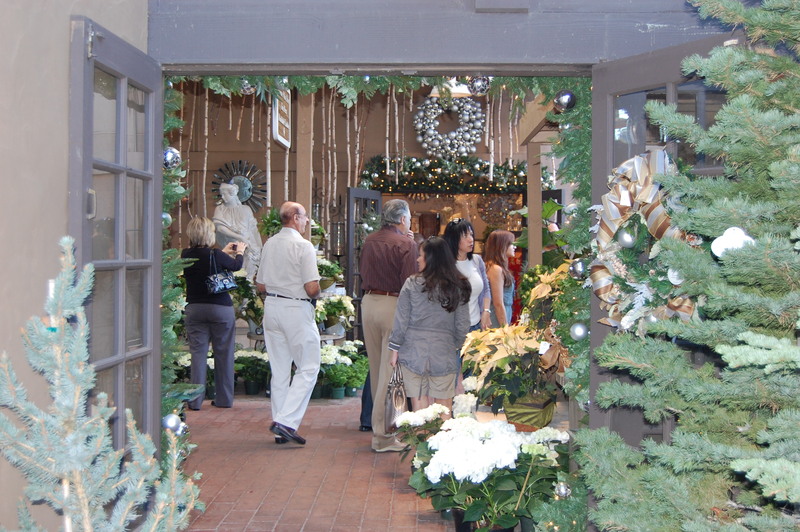 The nursery today draws gardeners and looky-loos alike, who come as much to simply tour the scenic grounds, shop for holiday décor, and take classes in gardening and decorating as to buy fertilizer and pony packs. The grounds are set up as a series of garden rooms, galleries, a patio, and several outdoor gardens. The first garden you come to after coming through the entrance – named the Dave Bush Garden – has a miniature train running through it at Christmastime, and the rest of the year it shows off gardener Lew Whitney’s plantings of classic “tried and true” plants for the season combined with newer, sometimes experimental, plants. According to Whitney, this is the place where new-plant enthusiasts should look first when coming into the garden. Roger’s Gardens at Christmas is an especially magical time, when browsers come in droves to wander among the scores of magical trees with twinkling lights and unusual ornaments. (All of the ornaments are for sale.) Roger’s Gardens has also come to be known as the Christopher Radko center, and fans of the blown-glass artist flock to the center all to buy the latest Radko collectible ornaments. Roger’s Gardens is a fun place to take a family stroll, whether in the spring to get inspiration for your own yard, at Valentine’s Day or Halloween to find fun and gorgeous décor, or at Christmas to get into the Christmas spirit. It’s an Orange County classic. Where to park: Parking is plentiful in the lot off San Joaquin Hills Road. What to bring: Shopping money! Otherwise, just consider sunscreen and/or sunglasses and sunhat for outdoor strolling; strollers welcome, but paths are narrow, so umbrella strollers are best. 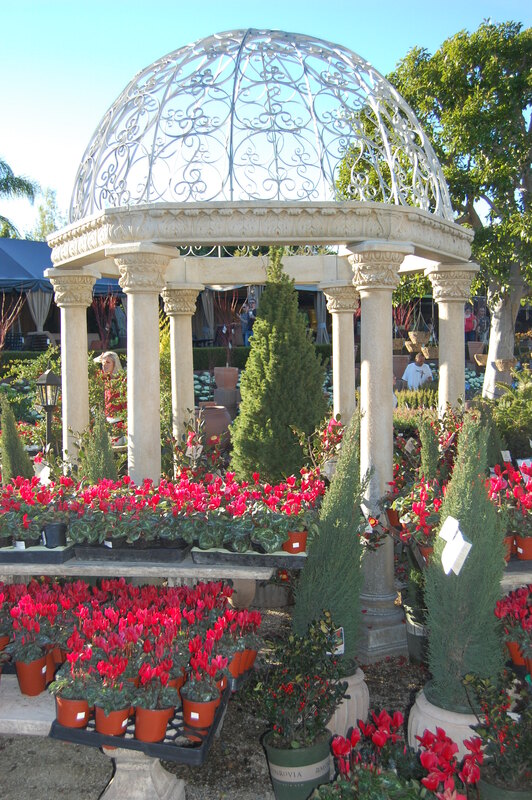 For more information: (949) 640-5800 or visit the Roger’s Gardens website. 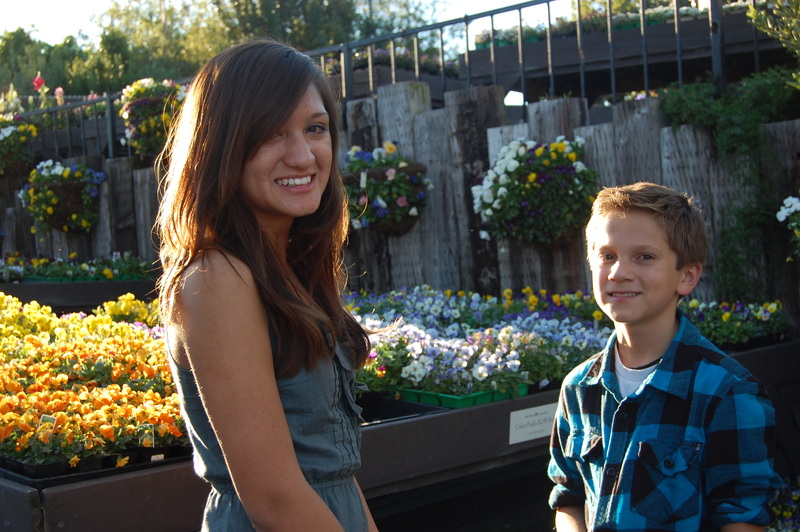 Have you ever been to Roger’s Gardens? What’s your favorite season? Any fun tips to share? I have always liked to visit Rogers gardens, such a beautiful place to spend some time and get great ideas on home improvement.